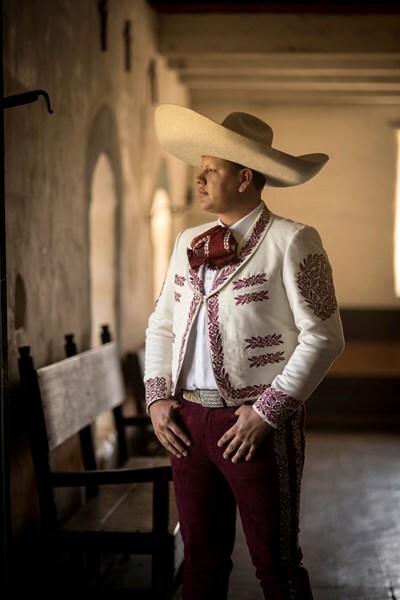 Born in Salinas, California to a his father from Guanajuato Mexico and a Mexican-American mother, it wasn't long before Josue embraced his stage name, “El Charro de America.” The 26-year-old mariachi singer says he is proud to have Mexican blood running through his veins. He currently runs an electronics repair business which he currently considers his full time job…but this will not be for long. He discovered the power of his voice when a Karaoke machine was brought to his home. It was then that he realized he was a bit more in touch with his Mexican side then he had thought. After owning his first mariachi album, one by the iconic Mexican singer Vicente Fernandez, he discovered that he truly enjoyed singing this genre. Having an extensive list of certifications and graduation certificates from various music classes, it's an honor to say he has been under the wing of the director of the world renowned Mariachi Vargas, Heriberto Molina better known as “El Curita” known for his international talent in the 70's. He was also a student of Peter Beneke, the international opera singer associated with another of the greatest in music, Plácido Domingo. Josue has even had a special interest in opera singing however; his love for tapatio or mariachi music surpasses it all. His efforts and talent has been recognized in numerous singing competitions, these add up to an extensive list: he placed second on Azteca America network Cante y Gane in 2005, he won first place in Festival de la Canción Latino Americana in Guadalajara, Jalisco and in San Francisco in 2004, in 2006 he won Fiesta Mexicana just to name a few. One of his greatest accomplishments was being a guest star on the longest running TV Variety show, Sábado Gigante with Don Francisco. He has sung on some of the most important stages for Latinos such as Universal City Walk 5 towers, the historic Placita Olvera in Los Angeles and at the most important beauty pageant for Latinas in California, Miss California Latina 2014. One of Josue's other latest accomplishments was being the dubbed singing voice to actor Jeremy Ray Valdez who played the role of actor and comedian, Gabriel Iglesias' father in Fluffy The Movie. 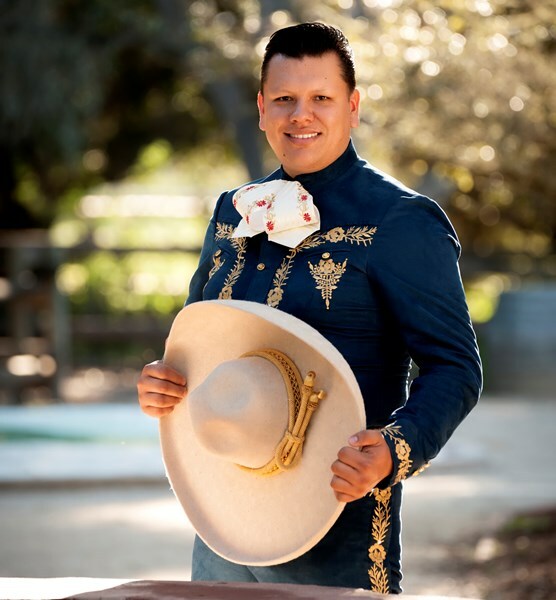 In the movie scene where Valdez sings “Por Tu Maldito Amor”, Josue Hernandez is proud to say that it was his interpretation of the classic mariachi song. The movie was released in over 400 theatres across the country and is now available on DVD. On the list of artists whom he has been the opening act to are some of the greatest: Graciela Beltran, Jenni Rivera, Paquita La del Barrio, Mariachi Sol de México de José Hernández, Beatriz Adriana and Yolanda del Río just to name a few. 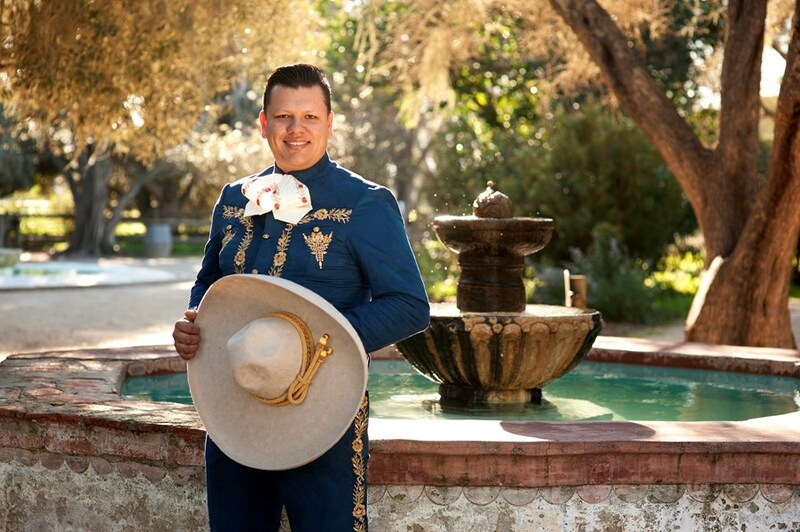 His ultimate goal is to keep the traditional and colorful mariachi music alive for many more years to come. Josue currently resides in Santa Maria, California and enjoys mountain biking, traveling, volunteering with AIDS and Breast Cancer awareness non-profit organizations and is a board member in the Cultural Arts and Music Program that helps maintain ethnic pride within mariachi music. He loves to record and produce music and has a passion for DJing. Please note Josue Hernandez will also travel to Nipomo, Los Alamos, Guadalupe, Casmalia, Arroyo Grande, Oceano, Pismo Beach, Grover Beach, Lompoc, San Luis Obispo, Avila Beach, Buellton, Los Olivos, Solvang, Santa Ynez, Santa Margarita, Los Osos, Creston, Morro Bay, Atascadero, Cayucos, Templeton, Cholame, Harmony, Cuyama, New Cuyama, Goleta, Shandon, Paso Robles, Santa Barbara.